Todd Phillips does his best Scorsese approximation with War Dogs, but his shtick of celebrating dudes doing dumb, horrible things is much better suited for The Hangover than the true story of young arms dealers operating during the Iraq War. The movie embraces the foolishness to a level that makes it impossible to take anything seriously, while also lacking any satirical bite. 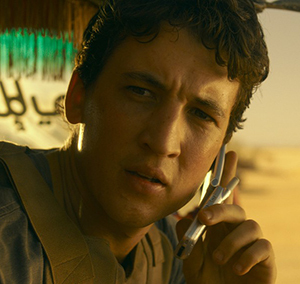 Voiceover (without the bravura of Goodfellas or the sardonic wit of The Wolf of Wall Street) from David Packouz (Miles Teller) bluntly fills in a lot of the story and character details. While working as a massage therapist in Miami, David is reunited with wacky childhood pal Efraim Diveroli (Jonah Hill). Upon learning his girlfriend Iz (Ana De Armas) is pregnant, David ditches his massage table – and a misguided attempt to sell premium bedsheets to retirement homes, to go work for Efraim at his startup arms dealership. The business is potentially lucrative thanks to the deregulation of military contracts. The pair is able to scoop up small orders at first, eventually working their way up to a 300-million-dollar deal to outfit Afghan soldiers with a bevy of wartime accoutrements. 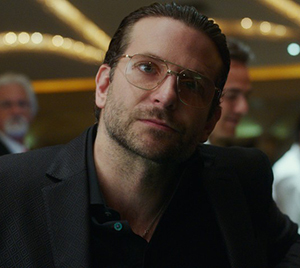 Partnering with shady figure Henry Girard (Bradley Cooper, monotone on purpose, inconsequential probably by accident) to complete the deal, Efraim and David get in way over their heads. In tackling extremely polarizing real life subject matter, Phillips and co-writers Stephen Chin and Jason Smilovic adapt Guy Lawson’s Rolling Stone article Arms and the Dudes as a fantasy for the contemptible, shiftily ambitious stoner. It’s all about the bros killin’ their white collar game, details and context be damned. While smart not to get into the arguments surrounding the validity of the war itself, moral complexity is reduced to the bare minimum. David is anti-war (he and Iz “go to rallies”), while Efraim isn’t pro-war, he’s just “pro-money.” And that’s where the ethical entanglements end. The celebration of hustling your way to a Porsche and a high-floor apartment in Miami Beach lacks nuance in its presentation of excess. There’s also the requisite use of Middle Easterners as puppets in the plans of the leads, while stock, underwritten girlfriend Iz exists to walk around in tank tops and/or underwear and nag David for lying to her. A major character misstep is positioning David as overly sympathetic and then losing his well-intentioned motivations in the absurdity. His familial responsibilities and conflicts never feel like the driving force behind his questionable actions, and there’s no sense of internal struggle. He moves from affable boyfriend and father one moment to shrewd swindler or stoner dude the next, depending on what the punchline is for that particular scene. Teller is naturally likeable, but is dull here. He barely registers any emotion, even when in grave danger. 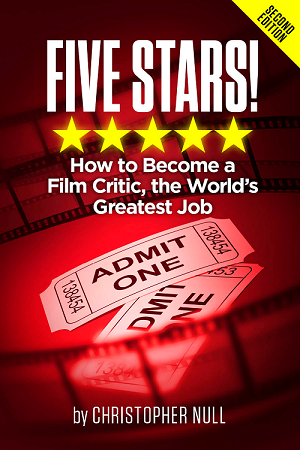 Hill makes a few of Efraim’s ridiculous words and deeds humorous through blunt-force charisma, though the script gives him little to work with beyond general objectionableness and unreliability. Efraim is a fan of Scarface (the De Palma one, naturally) and the surface references are presented as character development, as is awkward dialogue where Efraim and David reminisce about their tween years in attempt to add meaning to their present. It’s way too transparent to work. The style of War Dogs is as stale as the characters. The corruption of the American dream is depicted by having the dudes smoke pot in their car before a meeting with government brass, an American flag reflected on the hood. A flash forward opens the film, clunky narration guides us through quick scenes introducing characters and explaining schemes, and title cards featuring soon-to-be-spoken dialogue sections the film off arbitrarily. It’s all meant to be a romp, but there’s no real joy or purpose in any of it. Endless needle drops on obvious soundtrack cues grow tiresome, while the moody Cliff Martinez music during the limp dramatic moments feels very out of place. His compositions are befitting of the chaos of Refn or Korine, not an unfunny and aimless, quasi-farcical Phillips joint.